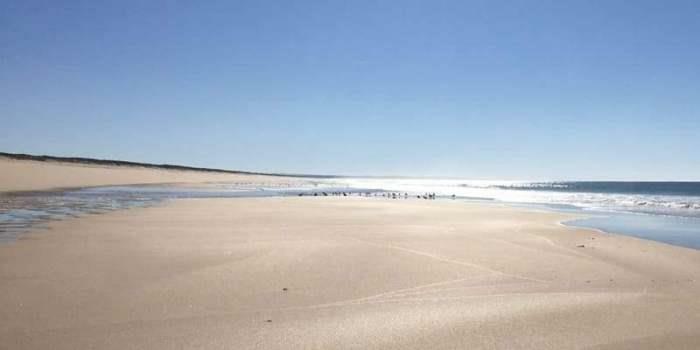 Real estate for sale along the Alentejo Coast in Comporta, Melides and Troia. Beach houses, sea view villas, country estates, village homes, cabanas, hotels, tourism projects, vineyards, farms or plots of land to build your ideal house in Portugal. Comporta, is a scopious agricultural reserve encompassing some eighteen thousand hectares of prime land and real estate abutting the Atlantic Ocean and Sado Estuary in the district of Setubal, boasting an unimaginable beach, seven typical villages and a cool vibe. Comporta beach sweeps some fifty kilometres from Troia to Melides through Soltroia, Brejos da Carregueira, Carvalhal, Pego, Gale-Fontainhas and Aberta Nova, offering a pristine coastline that exudes a brilliant glow when the sunrays sparkle off the beach and turquoise ocean. The land throughout the estate is mainly sand, yet incredibly the vegetation is alive with umbrella pine, cork oak and multiple indigenous species. The fauna includes wild boar, black pig and multiple species of bird that pass through on migration or call comporta home. The village, occupies a small area within the estate and has three main roads where multiple restaurants, cafes and home decoration shops may be found. It's quite sleepy throughout most of the year, except for sunny weekends and only comes alive from June till September when Comporta village becomes a hive of activity attracting the wealthier Portuguese families and the A-class crowd from the European capitals. The atmosphere is laid back and cool, with everybody appreciating their privacy whilst the rich and famous that frequent the area, meander the cobbled streets unhindered by the day-trippers and holiday goers as the days quietly pass by. This sublime reserve in southern Portugal offers the perfect lifestyle for those who have an affection for nature in harmonious vibration with peace of utter tranquility, occassionally interrupted by the roar of the ocean's voice and the song of birds that affords one to drift into a subliminal state of mind. Although Comporta is a beachside retreat, the majority of beach houses are located at a short distance from, rather than on the beach itself. 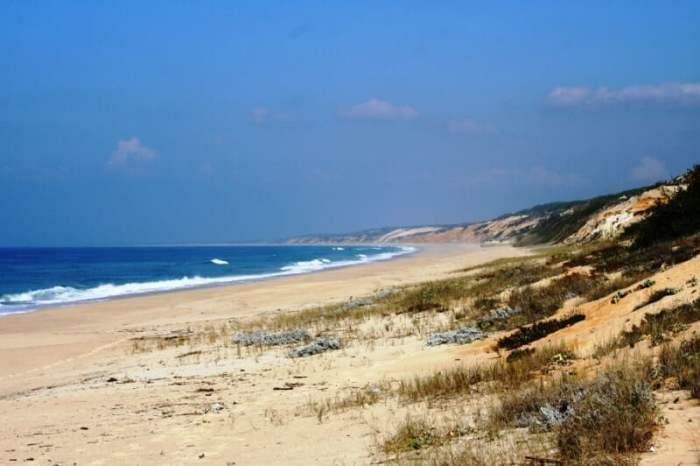 This is due to the fact that Comporta beach is a protected zone and it is illegal to build a home there, with new regulations enforcing the rule that one's beach house, must be two kilometres away from the shore. Some properties have been grandfathered in due to their date of construction but height restrictions now forbid two storey homes which protects the skyline around one's property. The not so distant, Comporta beach houses are ideal as a primary residence and superb for that summer vacation, allowing one to relax and enjoy the stunning environment that this beautiful area provides. 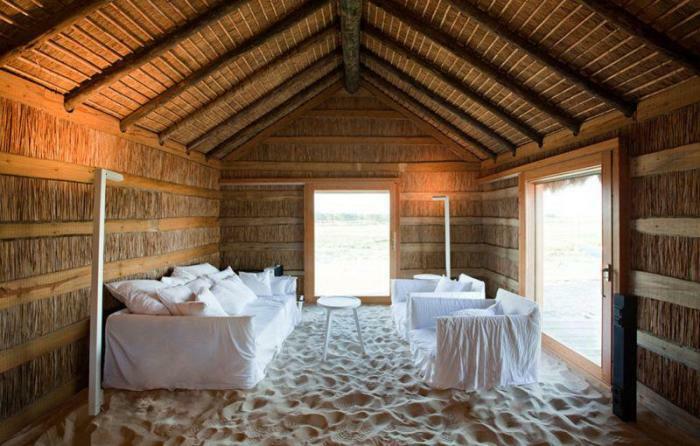 The home below was designed by the late Vera Iachia and is undoubtedly by far, due to its design and location the best beach house in Comporta. The original Comporta cabanas where homes for the local fishermen which were arranged in such a way that each cabana had its own use. There would be a cabana for sleeping, (Generally, all of the family together), and individual cabanas for the living and kitchen areas. These aesthetically beautiful homes were built in a truly environmentally friendly manner, sitting directly on top of the sand and constructed with local reeds which were harvested on the shores of the Estuary and pinewood which was cut from the local forests. 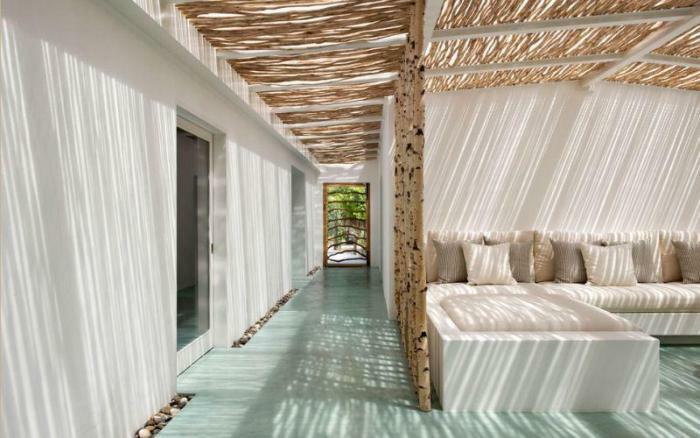 Nowadays, one has a choice of materials, however one of the best cabana styled properties is Casas na Areia (House on the sand) which was designed by Aires Mateus the much acclaimed Portuguese architect and built by a truly traditional and meticulous tradesmans family, Antonio and Vitor Pinela. Up until approximately ten years ago (2010), it was extremely difficult to find a villa for sale in Comporta, as those which were built, were for the home owner and not for sale. Previous to this, the only properties for sale in Comporta were the traditional fisherman's cabanas which were normally on land owner by the estate owner, Herdade da Comporta or homes and plots within the villages and hamlets which make up this exceptional estate. Nowadays, although not in great supply, you will find a number of exceptional Comporta villas for sale which are generally found within the countryside area known as Muda and nearer to the beach in Brejos da Carreguira and Pego Beach in Lagoa Formosa and at the reserve in Carvalhal. The majority of villas in Comporta are used by their owners throughout the year as second or third homes and in many instances leased out when not occupied. The villa below was designed by the much respected Pedro Ferreira Pinto, who has authored multiple properties in the area and now handed the reigns to his daughter who will continue the tradition of designing stunning and modern real estate in Comporta, Portugal. Up until 2014, the availability of accommodation was limited to a few distant hotels of mediocre standards, a limited number of locally owned village homes and a dozen or so, traditional but chic homes / near beach huts. 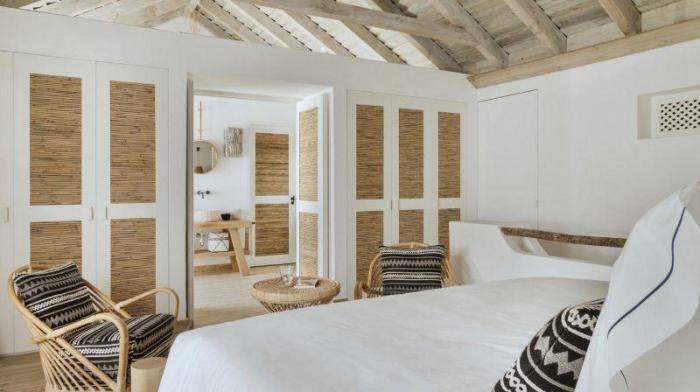 This all changed when a family from Lisbon decided to build a small 14 room boutique hotel named Sublime Comporta Country House Retreat, and what a difference it's made. Sublime has been a resounding success from the first day it opened. It's stylish, chic, unpretentious and set within a stunning 17 hectare environment of umbrella pine with a majestical garden of indiginous plants and shrubs, designed by an equally modest and unassuming landscape gardener Luz Martins. The accommodation is homely comfortable with stylish decor of international flair and the restaurant Sem Porta offers cuisine not to be found anywhere else in the area. A new addition includes Food Circle, which provides an organic dining experience at the heart of the sustainable garden, lit by fire and starry nights. 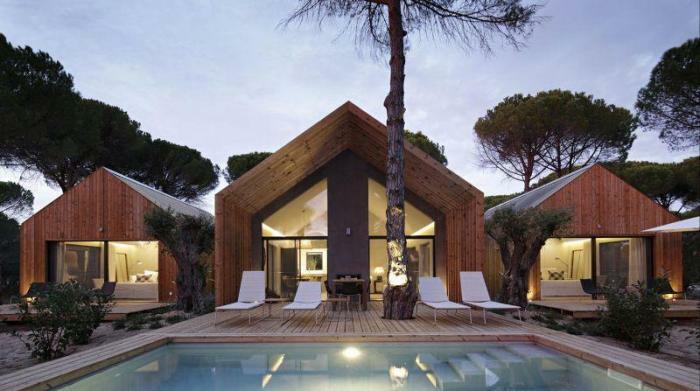 Sublime offers a number of their exquisite homes for sale in Comporta Portugal. Ask for details. 2019. 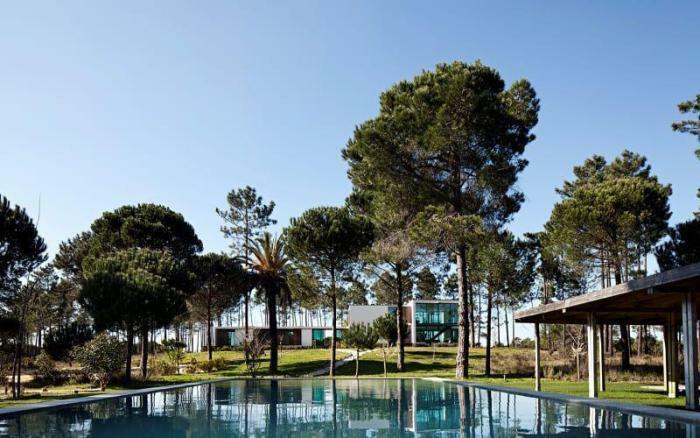 Opening this spring, Quinta da Comporta is a luxurious 4 star hotel located at the edge of the expansive paddyfields in the village of Carvalhal. Designed by the distinguished architect Miguel Cancio Martins this new addition to the hotel scene is much anticipated. Offering 73 spacious deluxe rooms, suites and villas, the hotel's body and soul was created from the love of its authors unabashed appreciation for the surrounding environment, inhabitants and history, and is truly set to be a noble destination. Quinta da Comporta, will also be offering the opportunity to share in their expected success by offering a select number of their villas for sale in Comporta. Ask for details. Multiple offline investment opportunities within the historical capital city Lisbon - Hotels, offices, mixed-use residential and commercial real estate developments or renovation buildings. Portuguese real estate is still quite affordable when compared to most areas of Europe, whilst easy access to Lisbon, Porto and Algarve Airports makes Portugal a simple jaunt from many international destinations. Portugal has a moderate climate including three hundred days of sun, a pristine coastline, stunning scenery and generally good quality properties for sale offered throughout the country to include both affordable and luxury houses. Portugal boasts a favourable tax regime for new residents and property buyers with investment properties at fair market values which can offer the home buyer or investor excellent returns both through equity growth and annual returns. Multiple property agent reports written about the real estate market over last five years suggest an average price increase of 12% per annum. 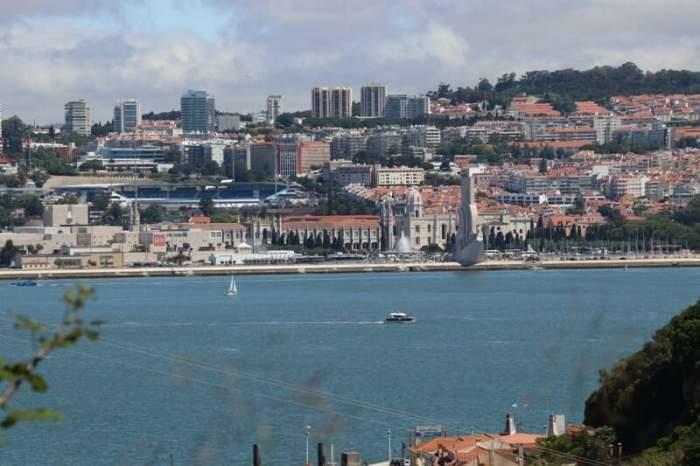 Lisbon, is currently "on fire" (2019) due to the influx of many buyers from the European capitals, who are searching for a more favourable tax regime, better priced properties and generally excitement, culture, entertainment and the facilities that this beautiful European coastal city offers both buyers and visitors alike. As often is the case many clients are astounded that you can still purchase one of the worlds best coffees for less than one Euro or enjoy a hearty meal and a decent glass of wine for under ten Euros. Porto, which many people have compared to the United Kingdom in relation to its greenery and climate, offers the more affordable home and boasts Portugal's second city Porto, which many say, has as much to offer as Lisbon. Porto is an excellent city in which to buy a second home or primary residence due to the fact that your Pound, Dollar or Euro, goes that little bit further. Douro, this region for many centuries has attracted the foreign investor and resident due to its climate, soil quality and probably the best Portuguese wine as well as of course Port. To boot, the Douro region is also stunningly beautiful, especially around the River Douro with old family estates and vineyards abound. Algarve, which only a few years ago had seen a decrease in property values due to the financial collapse of 2008 is back in vogue as many foreign buyers have arrived to the conclusion that this part of the country offers affordably priced homes for sale in Portugal, a warm sea, excellent golf courses and many full-time foreign residents to call ones neighbour. Real Estate Agents suggest that some of the best luxury estates for sale in the Algarve are to be found in Quinta do Lago and Vale do Lobo which are well desired destinations, boasting facilities which in standard terms are well above the norm'. Silver Coast, is a destination for golfers, surfers and for those who perhaps prefer a more moderate climate than the Algarve. Due to the fact that the Silver Coast is only slightly north of Lisbon it also makes for easy arrival from the international airport with suitable properties for sale within golf course resorts, which for the most part are a little more affordable than most in the Algarve and certainly those around Lisbon, with many golf estates to be found in Sintra, Cascais or Estoril. Alentejo is stunningly beautiful and covers almost one third of Portugal's land mass and offers either countryside or coastal areas which provides the buyer with the choice between, country estates, farms, or agricultural land for commercial activities, and shabby chic beach cabanas or luxurious modern homes by the coast. Alentejo stretches south of Lisbon to the tip of the Algarve and is one of the most affordable areas of Portugal in which to purchase your ideal property. The Alentejo region attracts international buyers who are living in Portugal throughout the year and has become a preferred second home destination for many Europeans. Coastal towns are seeing huge increases in buyer interest with sea view homes, golf villas, building plots and country estates for sale. Ãlentejo proudly offers a myriad of gorgeous beaches, traditional villages and the awe inspiring South West Alentejo and Vicentine Nature Park. Comporta, is one of our favourite destinations and still "off the radar" for the majority of property buyers, offers beach properties, luxury real estate, large country estates and typical village homes. This area of Portugal is not your typical Portuguese destination and therefore you should be prepared to see a vast contrast within areas and property types. It is however, an amazing part of the country with some fifty kilometres of pristine beaches and coastline, set within a nature and agricultural reserve, with a very low population density and an even smaller construction footprint. 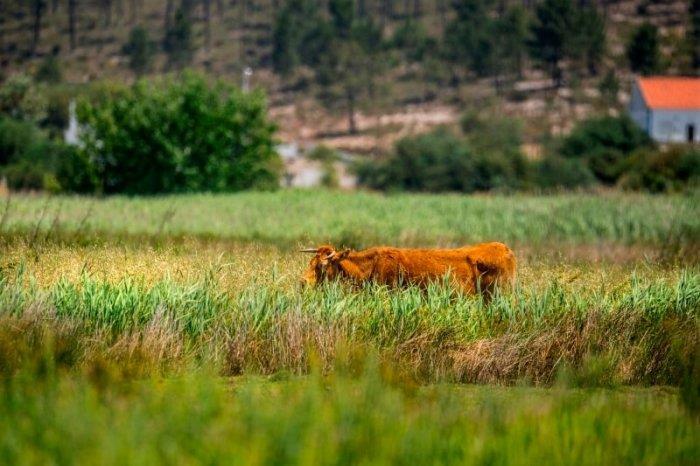 If you have decided to live or work in Portugal and are searching for a large tract of land or farm for commercial purposes, tourism or just as your homestead, then the Alentejo region would be a good place to start your research. Alentejo was once referred to as the bread basket of Portugal because of it's agricultural heritage and provides an abundance of land, farms and country residences for sale. If it doesn't make any difference as to whether you live by the coast or further inland, then ninety percent of the time you'll find a less expensive estate for sale the further you are from the coast. Confirm planning permission: Make sure that prior to purchasing your land, that you either have full planning permission, or outline planning permission from the local authorities and be sure to have this permission in writing. Generally, you will require: A licensed architect to produce the required property drawings and for submission of such to the local planning authority and an engineer for the speciality (Electricity, plumbing, structural, etc) drawings and construction supervision. You may hire an independent consultant / agent to report on the construction works being carried out by your licensed construction company who should in all instances have a solid reputation. If in doubt, ask first before it's too late: You may choose independent companies for all of the services you require and are not obliged to use your architect's construction company as some believe. Living Portugal Property Agent can assist you by providing upto date information and by recommending suitably qualified companies. Should you invest into the Portuguese real estate market? Real estate in Portugal has much to offer the investor or home purchaser and is worth serious consideration for buyers who are cash liquid, as opportunities for affordable or unique homes are abound. Luxury or unique Portuguese properties are normally sold at fair market value, except in cases where the seller desperately needs to sell, whilst the current housing market is stabilising and offering increased values in some higher demand areas. Market reports suggest that over the last five years property prices in Portugal have risen on average by 12%. Corporate buyers, such as pension and equity funds are currently investing in first-class assets with yields of around 6% with both office buildings and being at the top of their list. If this is your requirement, ask for details as we have multiple prime location buildings with or without yields, move-in ready, for renovation or new build. The country provides a safe haven for the real estate buyer, is a beautiful place to live, still affordable to a large degree and a great place to enjoy oneself without breaking the bank or emptying the retirement fund. 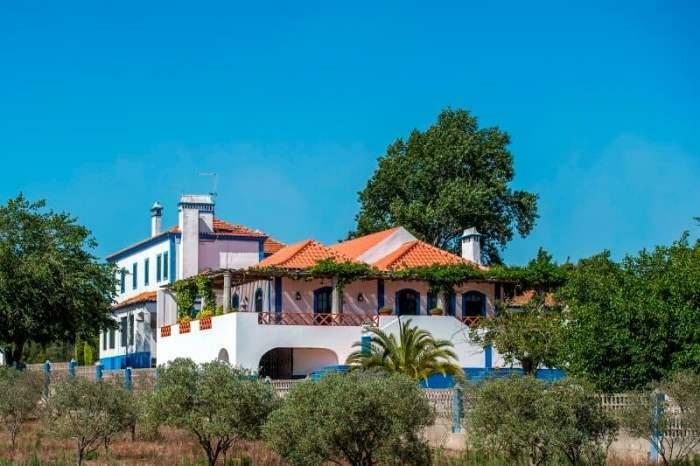 Real estate listings agent with concise information including land, apartments and houses for sale in Portugal with a plethora of articles on Portuguese Property. Please remember, when searching for your ideal property in Portugal many clients prefer not to list their home publicly for sale. If you have a specific requirement or style of home that is not listed for sale on the Living Portugal Property agent website, simply get in touch by phone or use the email link below.